We live in a time when costs are continuously rising and income levels are not increasing at the same pace. Therefore, investments have become a part and parcel of our regular lives. You work hard to earn your money and harder to save it. Therefore, your investment vehicles must work equally hard to ensure that they offer returns commensurate with your financial needs or plans. Having a financial goal is an essential first step for successful investing. It entails determining your investment objectives like saving for retirement, creating a pool for children’s education, etc., assessing your risk preference which includes considering your age, financial health, etc., and finally determining the time frame of investments like short-term (2-3 years) or long-term. This helps you create an asset allocation plan or a plan to distribute your investments among various kinds of assets like stocks, mutual funds, debt, real estate, gold, etc. There are several types of investment options available to investors today. You can invest directly in stocks, trade in commodities, mutual funds, fixed deposits, buy a real estate property or invest in REITs, purchase gold, etc. While each of these options has some pros and cons associated with them, today, we are going to talk about two of the most preferred investment avenues – Fixed Deposits and Mutual Funds. What are Fixed Deposits and Mutual Funds? Almost all of us are familiar with a Fixed Deposit. These investment products are offered by all banks where they offer a fixed rate of interest against the money deposited with them for a specified period of time. The interest rates are different for different tenures. All you need to do is purchase a fixed deposit and get guaranteed returns on its maturity. 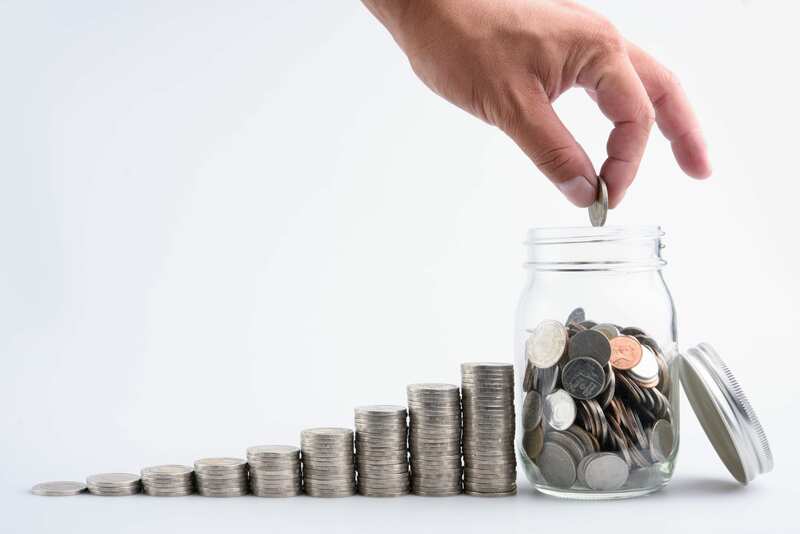 Some fixed deposits also offer investors the option of withdrawing the interest earned regularly (monthly or quarterly or half-yearly or yearly). Mutual Funds are trusts which collect money from people having similar investment objectives and invests them in assets to help achieve a predefined investment goal of the fund. Professional fund managers ensure that the investments are made after analyzing the returns on the assets, keep a regular tab on them, and rebalance the portfolio if needed. As an investor, you can purchase the units of a Mutual Fund Scheme if it syncs with your financial plan. Further, Mutual Funds share the income earned from these investments with the investors in a proportional manner, post-deduction of expenses, charges, and taxes. This is done either in the form of dividends or reflects in the overall growth of the value of your investment. Return on Investment In Mutual Funds, returns are based on the performance of the underlying assets and offer an opportunity to earn high returns than Fixed Deposits. You can choose between several types of schemes to find one that suits your needs. Investing in Fixed Deposits allows you to earn guaranteed but fixed returns at interest rates which are pre-determined by the bank for specific tenures. Investment Risk Investing in Mutual Funds has risks. Even if you opt for the low-risk schemes which primarily invest in the debt instruments or any other assets proving the least risk, your investment will never be risk-free. Fund Managers try to minimize the risks choosing assets wisely and diversifying the investments across companies from different sectors and sizes. Fixed Deposit investments are known as zero-risk investments and your returns are guaranteed. As an investor, you are aware of the returns that you can earn from the day you book the deposit. Further, the interest rate does not change with any change in the market. Costs Since there is a professional organization who invests on your behalf and manages the investments regularly, Mutual Funds have some associated costs which have to be borne by the investor. Some of these costs are distribution charges (except in Direct Plans), administration charges, etc. Investing in Fixed Deposits has no investment costs. You approach the bank directly, who offer you a specific return. No intermediaries or administration costs. Premature redemption Sometimes, investors want immediate access to their funds due to exigencies. In Mutual Funds, you can redeem your investments without any charges, provided that you have completed the minimum holding period requirement of the scheme. Some schemes also charge an exit load for premature redemptions. It is important to check the terms by reading the scheme-related documents carefully before investing. Fixed Deposits allow you to withdraw your investment completely or in part, before the maturity date too. However, you might have to bear a penalty for premature redemption. In some cases, a lower rate of interest might be made applicable if the investment is withdrawn too soon. Taxes There are several tax implications of investing in Mutual Funds since the schemes invest in a wide array of assets. These usually include long-term and short-term capital gains taxes, etc. The returns earned from your investment in Fixed Deposits are usually taxed according to your income tax slab. Summing up, both Mutual Funds and Fixed Deposits have certain advantages and disadvantages. Usually, investors who seek guaranteed returns and do not mind lower returns tend to opt for Fixed Deposits. However, since Mutual Funds offer investors an opportunity to earn higher returns than Fixed Deposits, many investors turn to them as their preferred investment vehicle. It all boils down to your financial plan and risk tolerance. While you can approach your bank for investing in Fixed Deposits, if you plan to go the Mutual Fund route, then ensure that you spend some time researching and understanding the market before investing. You might also want to talk to an investment advisor who can guide you and help create your first Mutual Fund portfolio.